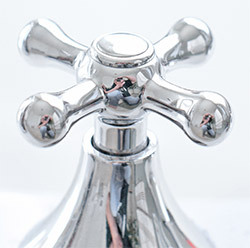 Your kitchen and bathroom sinks and faucets are important parts of your home’s plumbing system. You likely use yours every single day, so when they aren’t working like they should, you have a serious problem. They also serve as focal points, and the right ones can change the overall look and feel of a space. When you need help with sinks and faucets in Crowley, TX, Lightfoot Mechanical is here to lend a hand. We offer a complete range of sink and faucet repair and installation services, and our licensed plumbers are the best in the business. Whether you are adding an extra bathroom or you’re thinking about replacing your existing sinks and faucets, it’s best to hire a plumber for professional installation. Replacing and installing plumbing fixtures can be tricky, and when the job isn’t done right, it can result in years of problems. At Lightfoot Mechanical, our plumbers in Crowley TX are equipped to handle any sink and faucet installation or replacement project. Clogs and leaks commonly plague homeowners. Whether it’s a bathroom faucet that won’t stop dripping, a kitchen sink that refuses to drain, or any other type of problem, you need a plumber you can rely on for fast, dependable service. We offer a complete range of plumbing repair and drain cleaning services, and you can always count on our team to arrive on time. We even have workers on call 24/7 for emergency service. When you need a hand with sinks and faucets in Crowley, TX, look no further than Lightfoot Mechanical. All of our plumbers are licensed and insured, and you can feel comfortable welcoming them into your home thanks to our extensive background testing and drug screening. Don’t trust your home’s plumbing system to just anyone. For sinks and faucets in Crowley, TX, and the surrounding areas, contact the experts at Lightfoot Mechanical today!